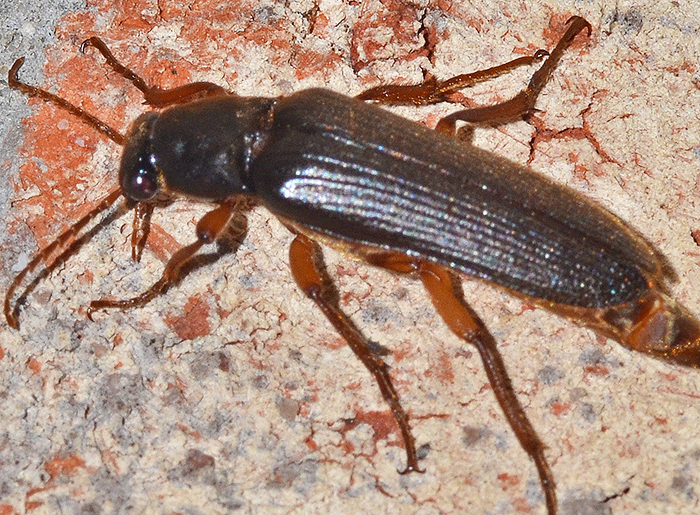 A fairly large click beetle. The genus Selonodon has 25 species in the US but identification to the species level is apparently extremely difficult. Females are flightless, which might contribute to regional variations that further complicate identification. Bugguide.net also states that "most adult activity seems to be during and immediately after big rainstorms".